A1b …But harassment takes many forms on social media: bullying, impersonation, stalking, trolling, dog-piling, etc. A1. 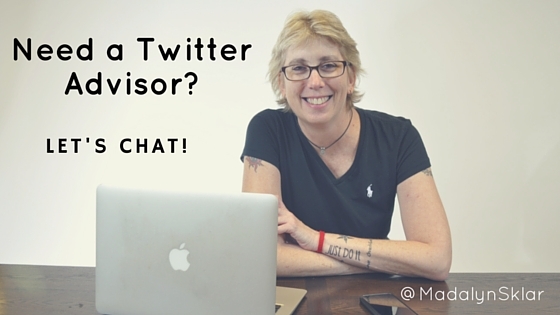 Hi #TwitterSmarter tweople! First time participating! Trust is apart of the relationship– grows stronger or gets diminished, but isn't a one-off kind of thing. I trust my gut instinct when it comes to social but for the most part trust the people I engage with. A3a I learned the crucial importance of boundaries through my own bad experiences, and I’ve since defined very firm boundaries for myself and others on social media. A3. This is such a good question, and one I do have a conversation w/ my students about in regards to ethics + etiquette. 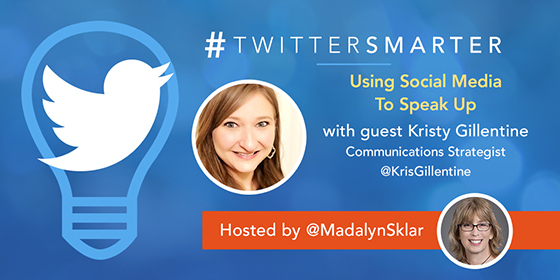 The post Using Social Media To Speak Up with Kristy Gillentine appeared first on Madalyn Sklar – Twitter Marketing Strategist.